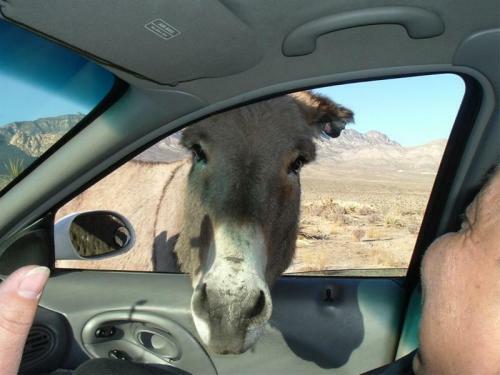 Roberta's Las Vegas Real Estate Blog: Las Vegas....Wild Burros?? That was so cute! He sure looks inquisitive and hmmm...seems to be asking for a bite and a sip to quench his thirst! Oh, Roberta - How cute that little guy is! I have a client who has burrows and when I arrive at the gate they run to meet me in my car and their heads are always trying to get it. They are so adorable! Thanks for sharing this...cute. Arina: They are cute but I've never been that close to one. Sally: Yep, I bet he wanted something to eat or drink. Deborah: He does look very curious. Linda: That is too cute about the burrows that meet you at the gate. Jo: They are called "wild" but seem very tame. Great pic! Before all of the construction, Boulder City residents who lived on the hill overlooking Lake Mead would occasionally see bighorn sheep wandering right into their front yards. John: Wow, I would love to see a bighorn sheep! It looks like he wanted a ride. I am sure it was very hot and no water near by. Gary: That would have been an interesting passenger! That is the most hilarious photo! He looks so friendly! The burro's intentions may have been benign, but even domesticated burro's can inflict a nasty bite, so it's good no one attempted to pat the cute beast. What a great picture!! s/he seems so friendly. What an awesome photo! This reminds me of a place near Lawton Oklahoma where there is a federal reserve and the buffalo roam free. You have to be verrrry careful driving through there as they will cross the road and stare you down, but oh it is much fun! LOL, reminds me of an associate of mine!!! LOL!!! great picture! Erin: He looks friendly, but is he?? Ricardo: It was an interesting welcome. Rosario: If it was me I would have been too scared to even take the picture! Jonathon: I guess we'll never know if he was truly friendly. Kris: It is a great photo! Charles: I think this picture reminds everybody of at least 1 person in their life! LOL! Dora: I would have been scared! I want a donkey some day! It's a real "ghost town" with burros roaming the streets and it's truly a place like no other. 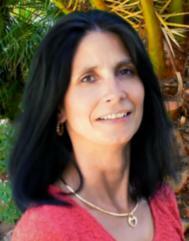 Denise: I have never been to Oatman, we will have to check it out. It sure is different than PA mining towns! The burro's are friendly, no need to be scared to pet them. They own the streets of Oatman. The burros are used to the visitors feeding them carrots. He's just looking for his treats. Friends and family insist on going to Oatman when they come out to visit. For me its a 30 minute drive and I visit Oatman alot. If you are planning a trip stop by the gro store to buy several bags of carrots and don't forget the camera. Bonnie: I haven't had the chance to get there yet, but some of my visitors have and they thought it was pretty cool.